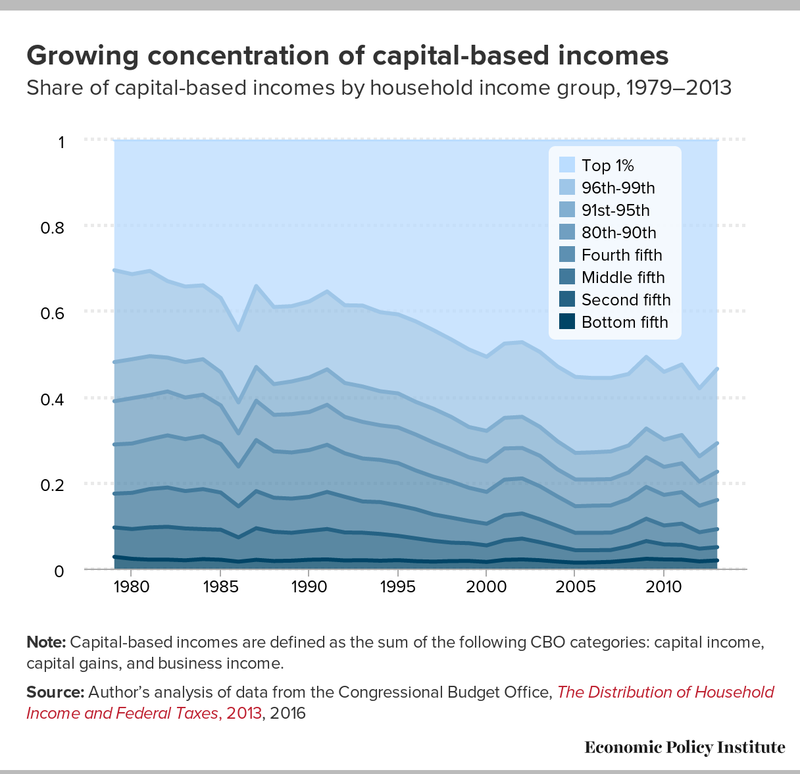 This post first appeared at The Economic Policy Institute. Contradicting their claims to simplify the tax code, Republicans are adding loopholes. Anybody who studies taxes knows that they are not complicated because of the rates — you look those up in a table after you’ve done the hard part of wrestling with deductions and exclusions. So making seven rates into three does nothing to deal with the complexity of the tax code. But adding further loopholes for the rich and big corporations does exacerbate the code’s complexity and unfairness. On the corporate side, besides cutting top corporate rates, the Republican plan makes the current loophole that big multinational corporations use to dodge their taxes by claiming profits have been made overseas permanent, rather then temporary. In the jargon, this is change is called “territorial taxation.” Today’s corporate system demands corporations pay the current 35 percent statutory rate on profits earned anywhere in the world, but allows them to defer paying tax on overseas taxes until they’re repatriated to owners in the United States. This deferral loophole has led to an entire industry of tax avoidance that classifies profits inappropriately as earned overseas, and has led to a growing drumbeat to allow corporations to repatriate their now-huge stock of overseas profits at a preferential rate. And, the Republican plan wants to deliver exactly that by changing the rules to moving the tax rate on profits earned overseas to zero, permanently. The utter fakeness of Republican claims to have sought a “middle-class” tax cut can be seen all over their plan as well. For one, the lowest tax rate actually increases under their plan, from 10 to 12 percent. Republicans claim to have delivered relief to the middle class by doubling the standard deduction (letting them hand-wave about “zero-tax brackets”). But the devil is always in the details — which are short in today’s plan — and the details of past Republican plans claw back the middle-class benefit of a larger standard deduction by getting rid of the personal exemption and head of household filing. For a lot of households, the net result this is basically a wash. But about 20 percent of households, and more than half of single parents would end up paying more in taxes at the end of the day. Today’s framework delivers absolutely no surprises: this isn’t tax reform; this is simply tax cuts for rich people.